Bring back a showroom shine quickly and easily with our top 5 best car polish; get a glossy shine in no time. Our list of the best car polish are mostly all-in-one style car polishes. They use a fine abrasive to reduce scratches, a glaze to enhance shine and a wax or man-made sealant to protect the paint, all in one bottle (hence the name). So, which polish have we tested and found to be effective, easy to use, leave a good finish and last? 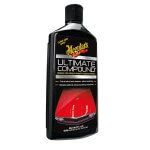 Whilst all the other best car polish reviewed on this list are ‘all-in-one’ solutions, as most people require, this polish from Meguiars is purely an abrasive polish. This means it contains no wax or sealant and therefore requires a further application to protect your clean, bare paint after polishing. However, the polish itself is fantastic and unlike most polishes which utilise traditional ‘gritty’ texture in order to remove scratches, the latest Meguiars range use SMAT innovation. Super Micro Abrasive Technology allows scratches to be removed using lots of very fine but sharp aluminium oxide particles. So unlike old school versions which will remove scratches but also leave a hazy, micro-scratched surface. Ultimate Compound however, removes fine defects whilst leaving a very sharp finish which would look like new paint once finished with a paste wax. Highly recommended for spot repair or all over with a machine. 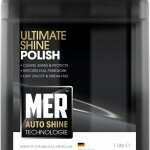 Mer polish for cars has been another long standing contender in the car polish world. Similar to Autoglym but their new version in the black bottle offers an improved polish with less dusting which makes it quicker to use as it involves less clean up post-polishing. Like with most all-in-one products this also has conditioning agents which act like paint glaze to improve dull, dry paint and restore a deep shine by filling in fine scratches and creating a smooth, glossy surface. Much better than their last version but not quite enough to get onto the podium. Like all these polishes for your car we have tested and reviewed, they are designed to save you time by doing without a multi-step process to polish your car. Dodo Juice have taken note of this and developed their car polish to clean, polish & protect in one-step saving time & effort. This polish is very good, but if you like extra shine or want to extend the time between polishing, we recommend you top this polish off with one of their quality car waxes. This will add extra shine and protect it against weathering from several months. This Dodo Juice best polish for cars does take a little more effort than the Autoglym polish which just knocks it down a position but still on the podium. The Auto Finesse range is only a couple of years old now but has quickly made its name as providing quality products at reasonable prices. Their Tripple car polish is a fantastic all-in-one which means it cleans, polishes & protects your paint at the same time. Unlike other polishes however, it polishes better, cleans stubborn dirt off your paint and leaves a layer of premium carnauba wax that protects your paint better than most other car polishes on the market. It can be applied by hand or machine; the latter providing an easy way to restore faded red paint. By hand is fine, just found it didn’t have quite the same slickness as Autoglym’s version. However, it pays off with a super easy wipe off leaving a glossy surface behind. To further enhance gloss and protection we recommend using one of the Auto Finesse car wax range, the best gets better! 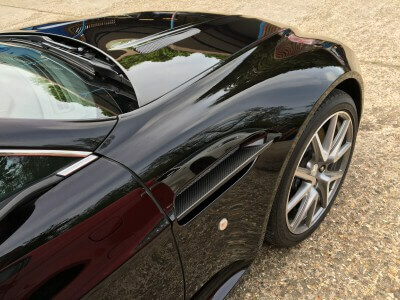 Autoglym Super Resin car polish is another great product that is made as an ‘all-in-one’ making it easy to clean, polish & protect your paint using one product. Super Resin has been around for years but was updated in 2015 with a much needed and vastly improved product offering zero dust and improved protection. Unsurprisingly it’s Amazons number 1 car polish seller! The difference between this car polish and the Auto Finesse Tripple is the use of man-made polymer instead of the natural Carnauba wax. Is wax better than man-made protection? That’s a whole other topic but in short, it doesn’t matter too much so use what you like. We feel that Auto Finesse Tripple has a slight edge in corrective benefits when used on a polishing machine, but Autoglym Super Resin is better to apply by hand. A microfibre pad will give good paint-cleaning action but for super easy polishing we can’t help like the Autoglym polish sponge; it’s better than it looks! Once the polish is laid down a white haze will be left behind and usually one-pass is all it takes to remove it and leave a glossy showroom shine. Great value and very easy to get a good finish on any car; new or old. Buy Super Resin On Amazon Today! 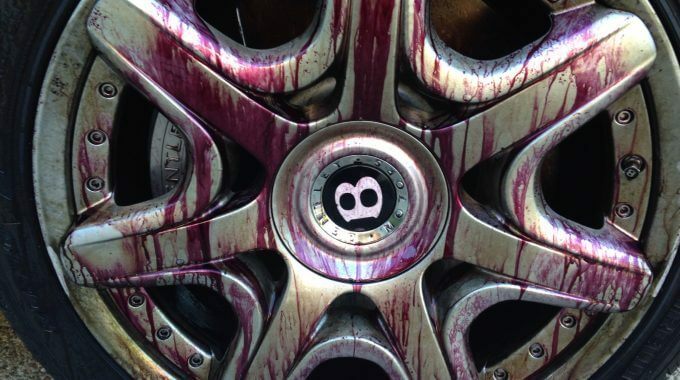 Car polish brands do vary in effectiveness greatly so this is a very useful article thanks. I just think its interesting that the majority of car manufacturers use 3M and Menzerna products and they never seem to appear articles like this. How can we help? Get in touch for a free quote, friendly advice or to book an appointment.